Russ Andrews adds a dedicated power supply for the DacMagic | What Hi-Fi? The £99 AC-12 power supply, which is a plug-in replacement for the standard Cambridge Audio unit, claims "more authority, weight and presence, with a significant increase in clarity and detail". That's been achieved using a precision rack-wound transformer, the tighter tolerances in the windings reducing stray magnetic fields, and better power supply regulation. 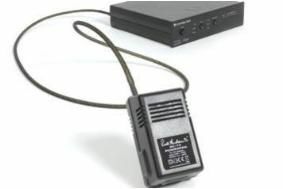 The AC-12 connects to the DacMagic using a 1m woven Kimber Kable connection, reducing radio frequency interference. It's available now from the Russ Andrews Accessories online shop.